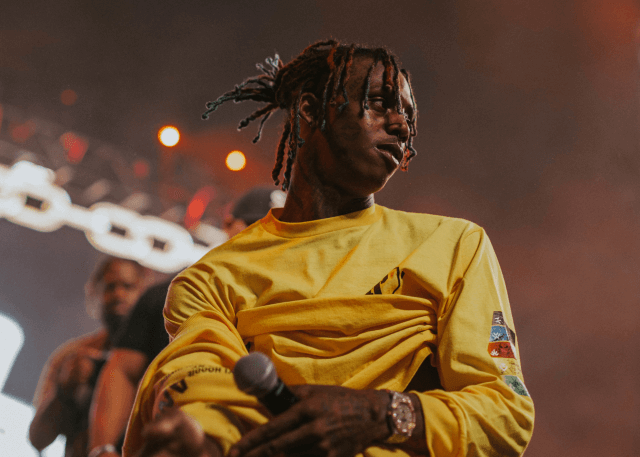 Born Dexter Gore, the rapper better known as Famous Dex has rocketed to fame over the past two years thanks to a relentless work ethic and an undeniable talent. After several mixtapes, singles and high-profile guest contributions throughout 2017, his 2018 single ‘Japan’ went Platinum in the U.S., confirming his status as an up-and-coming hip-hop firestarter ready to blow in 2019. After turning heads online in 2015 with uploads of his dynamic, Southern-flavoured brand of hip-hop, Dex broke into the national scene with the release of the mixtapes Never Seen It Coming and Dexter’s Laboratory, followed by several viral YouTube singles in 2016. Dex aligned himself early on with Atlanta trap savant Rich The Kid, who has taken him under his wing as the first member of his label Rich Forever Music, and produced the collaborative effort Rich Forever, which has since inspired two sequels. Dex’s debut album Dex Meets Dexter was released in April 2018. The record’s first single, ‘Pick It Up’, swiftly dominated U.S. hip-hop radio with the help of a feature from A$AP Rocky, earning a Platinum certificate from the RIAA. Follow-up single ‘Japan’ achieved the same feat, landing in the Top 20 on Billboard’s hip-hop and R&B chart. His latest offering, a standalone single featuring the killer trio Lil Baby, Jay Critch and Rich The Kid, was released in September. With hype building at a rapid pace, Dex has received endorsements from rappers across the board, offering up show-stealing guest verses alongside Playboi Carti, Lil Yachty, Sean Kingston, Trippie Redd and 6IX9INE.